I am a Huggies® mom all the way which makes my husband a Huggies® dad by default. When I was pregnant with my first child, we were given almost every type of diaper on the market. But I quickly discovered that Huggies® were my absolute favorite since they kept everything in the diaper. And really is there a more important function of a diaper? This is my all time favorite diaper picture. Just look at those three cuties! 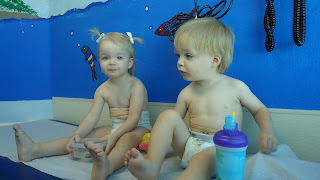 My kids are almost done with diapers. Molly only wears one at night and Mark is at the tail end of diapers. At least I hope he is in the tail end of diapers! 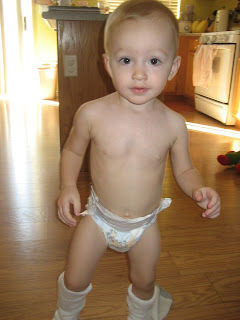 I was sent a package of the Huggies® Overnites Diapers to try for the first time and I will say that they work great! In fact I wondered why I never tried them before. I normally use the Little Movers diapers at night and while they don't leak by morning, they are very full! This requires a first thing in the morning diaper change. That is difficult when you have three kids begging for breakfast. I noticed that the Huggies® Overnites Diapers absorbed much better and I could wait until after breakfast to change them out o their diapers. That is much more convenient for this busy mommy! Huggies® Little Movers Diapers SnugFit Waistband help diapers stay in place like no other diaper. This helps keep babies active and dry as they move and play through the day. They also have Leak Lock® to help keep parents and little ones protected from leaks between diaper changes. With a unique contoured shape and flexible pad, they follow baby’s every twist, wiggle and turn. Huggies® Overnites Diapers (the Huggies® Brand’s most absorbent diaper!) help keep baby comfortable and dry while asleep when leakage occurs most. These unique diapers feature up to 12 hours of Leak Lock® protection so little ones are protected throughout the night! If you have a child in diapers, I strongly suggest you try the Huggies® brand. And check out their Facebook page for updated information, contests, and promotions. There is also a mommy answers section on their Facebook page for you to ask a question. What a wonderful tool for moms to have. Let's face it, even after having three kids, I still have questions. I would be traction if I sat like this!